Hancock County is a county located in the state of Illinois. 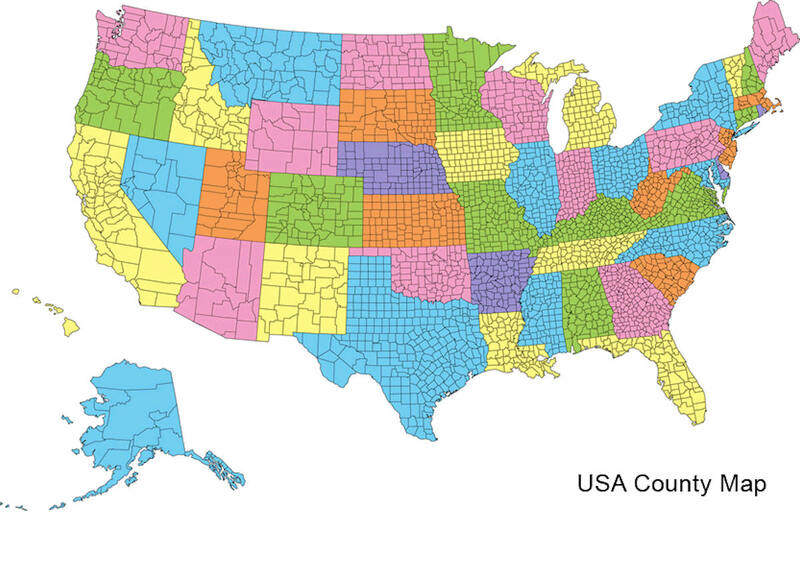 According to the 2010 census, it has a population of 19,104. Hancock County was created on January 13, 1825. 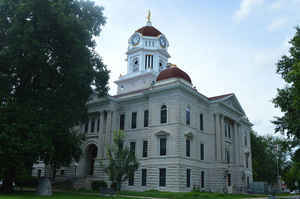 The county seat is Carthage, and its largest city is Hamilton. The county is named for John Hancock (1737-1793), first governor of the Massachusetts colony and president of the Second Continental Congress. Hancock County is included in the Fort Madison-Keokuk, IA-IL-MO Micropolitan Statistical Area. The county is named for John Hancock, revolutionary soldier and first signer of the Declaration of Independence. Hancock County was created on January 13, 1825 (Laws, 1825, p. 93) and was formed from Pike County. County organization was completed on January 15, 1829. Present area, or parts of it, formerly included: Attached to Adams County (Laws, 1825, p. 95) (1825-1829), Pike County (1821-1825), Madison County (1812-1821) and St. Clair County (1795-1812). The County was named for John Hancock, a prominent figure of the Revolutionary period, a Major General of the militia, President of the Continental Congress, first signer of the Declaration of Independence, and first Governor of the State of Massachusetts. The County Seat is Carthage (1833-Present). The county is made up of rural towns with many farmers. HANCOCK COUNTY, on the western border of the State, bounded on the west by the Mississippi River; was organized in 1825 and named for John Hancock; has an area of 769 square miles; population (1900), 32,215. Its early settlers were chiefly from the Middle and Southern States, among them being I. J. Waggen, for nearly sixty years a resident of Montebello Township. Black Hawk, the famous Indian Chief, is reputed to have been born within the limits of Camp Creek Township, in this county. Fort Edwards was erected on the present site of Warsaw, soon after the War of 1812, but was shortly afterwards evacuated. Abraham Lincoln, a cousin of the President of that name, was one of the early settlers. Among the earliest were John Day, Abraham Brewer, Jacob Compton, D. F. Parker, the Dixons, Mendenhalls, Logans, and Luther Whitney. James White, George Y. Cutler and Henry Nichols were the first Commissioners In 1839 the Mormons crossed the Mississippi, after being expelled from Missouri, and founded the city of Nauvoo in this county. (See Mormons, Nauvoo.) Carthage and Appanoose were surveyed and laid out in 1835 and 1836. A ferry across the Mississippi was established at Montebello (near the present site of Hamilton) in 1829, and another, two years later, near the site of old Fort Edwards. The county is crossed by six lines of railway, has a fine public school system, numerous thriving towns, and is among the wealthy counties of the State. "Historical Encylopedia of Illinois, 1901"
WARSAW, the largest town in Hancock County, and admirably situated for trade. 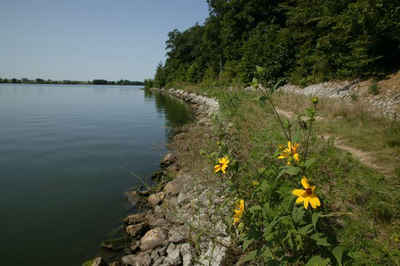 It stands on a bluff on the Mississippi River, some three miles below Keokuk, and about 40 miles above Quincy. It is the western terminus of the Toledo, Peoria & Western Railway, and lies 116 miles west-southwest of Peoria. Old Fort Edwards, established by Gen. Zachary Taylor, during the War of 1812, was located within the limits of the present city of Warsaw, opposite the mouth of the Des Moines River. An iron foundry, a large woolen mill, a plow factory and cooperage works are its principal manufacturing establishments. The channel of the Mississippi admits of the passage of the largest steamers up to this point. Warsaw has eight churches, a system of common schools comprising one high and three grammar schools, a National bank and two weekly newspapers. Population (1880), 3105; (1890), 2,721; (1900), 2,335. "Historical Encylopedia of Illinois, 1901"
As reported by the Census Bureau, the county has a total area of 814 square miles of which 794 square miles is land and 21 square miles (2.5%) is water. 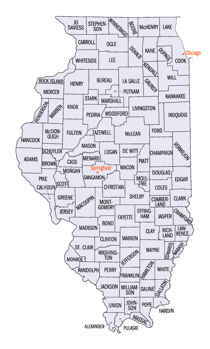 Hancock county is located in west Illinois. Nauvoo State Park is located in this county.